Manufacturing | Berg Chilling Systems Inc.
Eco-positive, thermal process management solutions for the global manufacturing market. Today’s manufacturers demand the highest standards when it comes to the production of high quality finished goods. 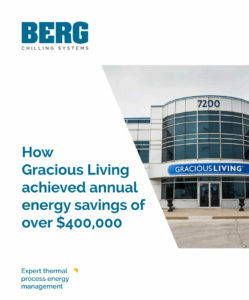 To exceed customer expectations, and meet regulatory requirements, manufacturers turn to Berg for total chilling solutions. For over 40 years, Berg has provided industrial process temperature control solutions with chilling, pumping and freezing equipment to maintain precise production conditions, and capture and reuse process energy across the manufacturing spectrum. Berg works with companies in all areas of manufacturing, including vehicle, machinery and equipment, computer and electronics, industrial gas, plastics, injection molding, rubber and packaging industries to develop custom engineered chilling solutions suitable for their needs. We have expertise in providing chilling equipment for use in metal stamping, laser welding, anodizing as well as hydraulics, plastic mold cooling, die casting, thermal set, dehydrating process flows, vapour strains, and jacket cooling for rubber. Temperature control for both heating and cooling is also available for applications such as injection molding. 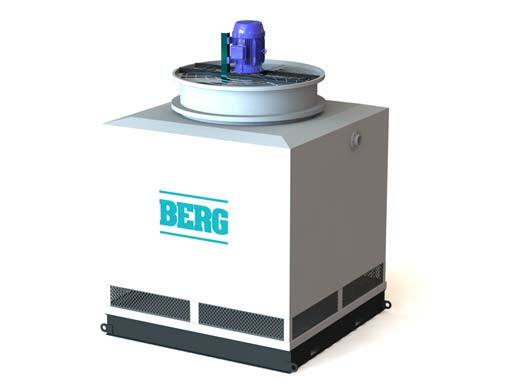 Berg solutions are designed for customer specific requirements at each facility for dehumidification, test cambers, clean rooms, environmental chambers as well as testing equipment for temperature shock compliance.